Save the Dates 5 – 7 June, Alexandria, Virginia! The Westin Old Town in Alexandria, Virginia will be the scene of several events of interest to the PNT community, and especially to members of the RNT Foundation, from the 5th to the 7th of June. The RNT Foundation will sponsor a reception for its members, the US National PNT Advisory Board, and its supporters the evening of the 5th of June. 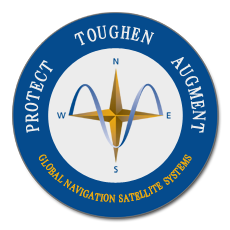 Members of Congress and senior administration officials who are interested in Protecting, Toughening, and Augmenting GPS/GNSS signals will be invited and several have already expressed interest in attending. The US National Space-Based Positioning, Navigation, and Timing Advisory Board is scheduled to meet all day the 6th and the morning of the 7th (Thursday and Friday). The sessions are open to the public (no advanced registration needed) and always include very informative presentations on the current status of GPS and other GNSS, other PNT systems, and governmental policies. We understand that one presentation will be Prof Todd Humphreys of the University of Texas discussing how he used sensors aboard the International Space Station to detect GNSS disruption activity on Earth.